We are a leading Exporter of kidney cage for hospitals from Ahmedabad, India. We provide excellent quality Kidney Cage for Hospitals, these are made of best quality material. 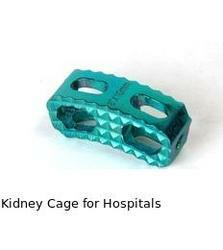 Looking for Kidney Cage for Hospitals ?